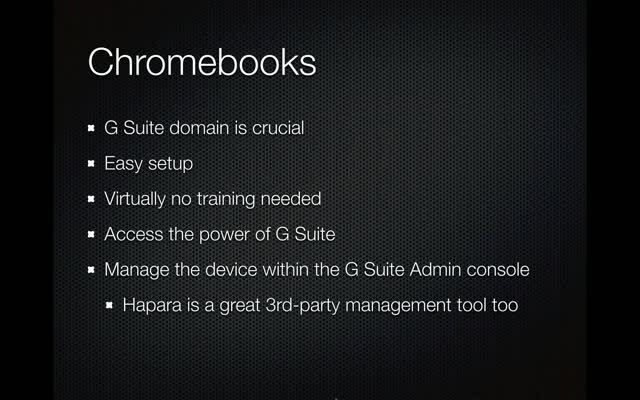 Chromebooks versus iPads: What's Best for Your School or Classroom Needs? 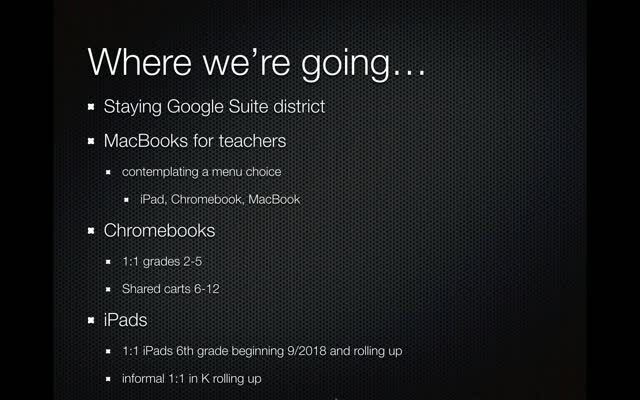 Are you considering using mobile technologies in your district, school, or classroom, but aren't sure whether to go with Chromebooks or iPads? How do the two technologies compare? Does one work better with certain age groups? 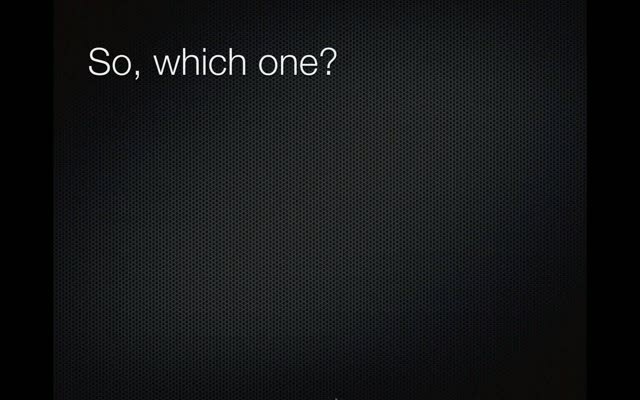 Is one better suited for your needs than the other? 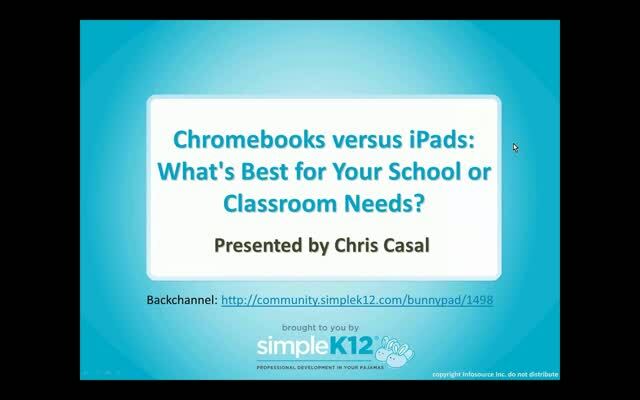 In this webinar, join Chris Casal as he discusses and compares the features and costs of Chromebooks and iPads, as well as the strengths and weaknesses of using each one. Some tasks may be better completed with Chromebooks, others with iPads, and Chris will share which tasks are best for each. Come discover which technology might be best for you. If you are considering an investment in Chromebooks or iPads in your school or district, this webinar can provide insight to help make your selection. One can see how much thought and organization went into his presentation. Thanks, great information to know. This is a fair and thoughtful analysis of how iPads and Chromebooks both have their places in K-12 classrooms. 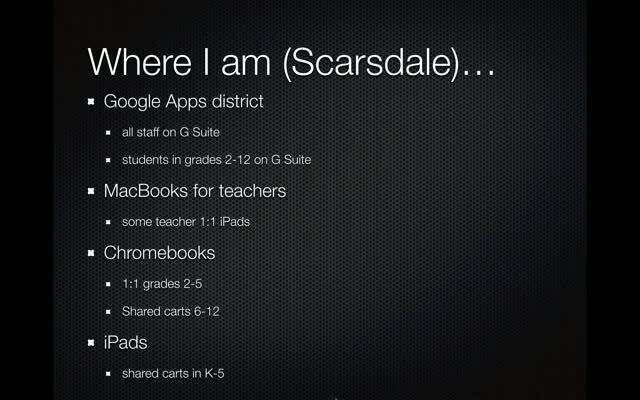 Great presentation especially for school technology leaders who are considering purchasing in the near future. Thanks! Great comparison of iPad and Chromebooks. He answered all of my questions! !